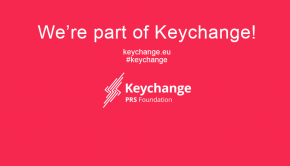 Keychange is a pioneering international initiative which empowers women to transform the future of music and encourages festivals to achieve a 50:50 gender balance by 2022. If you would like to find out more about New Music Biennial, or PRS Foundation’s other new music funding initiatives, please head over to PRS Foundation’s site. © 2013 - 2018 PRS for Music Foundation.